MWE3: The history of the BunChakeze Whose Dream? album is that the album was recorded in 1985 and remixed in 1992. Why was there such a long time span in between recording, remixing and finally releasing the CD in 2010? Looking back, do you have any reflections on making the album, the remixing and now finally the long awaited CD release? CT: Even before we started working on it, we knew that it would never get released, however good it was. Remember that in the 80s recording an album cost a huge amount of money. Nobody would finance it, so we had to really want to do it. We were offered studio time if we helped to build a home based studio for a guy who we had become friends with. It took months and we often recorded during gaps in the building work. We learnt a huge amount and even recorded without a studio engineer some of the time. We had the key to the studio! Clearly we never took this to a live audience because we never recruited a second guitarist or keyboard player. I guess we treated it as a personal recording to be enjoyed by friends. We never tried to make it commercial. Nevertheless, the more we did, the more we felt we really had something that could sell. We had a big problem finding a good singer who didn't demand stardom. The album has a very instrumental sound because we wrote and recorded before we finally found Joey. Joey was a real piece of luck. We had rough mixes of everything already when Joey arrived. I remember that it was very difficult to imagine vocals until he joined, therefore it sounded like a totally instrumental album. I think the success of the whole recording is that we had no set predetermined plan for the final sound. Joey was able to be himself and become fully involved in the album and not an addition to it. We didn't want it to sound like instrumentals with singing on top. We finished with a good mix but we had no more studio time to perfect it. We tried knocking on doors of record companies but they wouldn't even listen. Therefore we never went back and mixed it properly. We were happy and I went off traveling and moved to Sydney for a year. Joey went back to L.A. and Cliff and Gary joined local London bands for fun. It was in 1992 that we decided we'd never sell it so we would spend a little money, add a couple of missing guitar and drum parts and mix it for our own satisfaction. We didn't want it to be unfinished forever. The good thing about that was that seven years on, we knew what was wrong with it. The main thing was the mix. The result is that the guitars were pushed back and gave it a more open sound. You can hear everything. We also got the album cover together. We tried the record companies again and the UK friday rock show guys but still nobody listened. I pretty much stopped playing and Gary and Cliff dabbled in bands but never worried about making a career out of it. Joey was in L.A. and making a music career for himself. At least Joey was still trying and he was getting better all the time! BunChakeze had no chance of ever coming together really and we forgot about it. Four months ago I decided to test the waters one more time. With the new possibilities of the internet, we could find out if anyone liked the music. I was astonished at the reaction. Almost one hundred percent success. Everyone seemed to like it, even the album artwork. I need a good reason to put my all into music and I suddenly had one. It is possible to release an album without asking permission now. Ha! After much debating, it was decided to not go back into a studio again and just master it as it is. I have a very good friend who is an expert at mastering so he did it and we released it. MWE3: How about the name of the band, BunChakeze...how did you come up with the band name? CT: We started rehearsing under the name DDT, our surnames. A practice piece had a few key changes in it, so we called it bunch of keys. We converted that to Bun Chakeze and later BunChakeze and named the band after it. Always aware of the problem of naming a band and finding there are three others in the world, like Odin! Nobody ever called themselves BunChakeze, so we got that right. MWE3: Who in BunChakeze had the biggest impact on the song-writing process on the Whose Dream? album and can you say something about the two instrumentals that bookend the album? Those are definite highlights and a great way to begin and end the album. The closing instrumental "Whose Dream" reprise) is a true classic! CT: The writing process was varied in a true band fashion. I don't write lyrics but Gary and Cliff do. Cliff doesn't play guitar, so the music was all from me and Gary. Gary and I are very different. That had a serious affect on the final sound of the music. I was listening to Floyd and Al DiMeola, Gary was more Whitesnake and Rush. The combination works really well. Flight Of The Phoenix is very Gary and The Deal is very me. 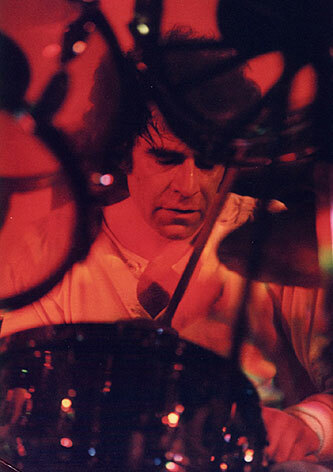 You can hear the effect that Cliff has on drums. That's why we put it out front. 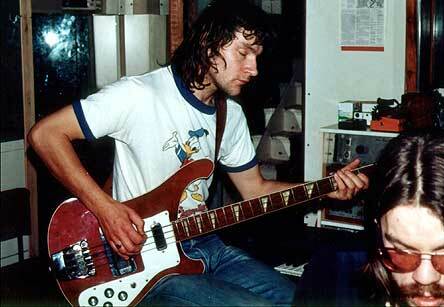 I had a big input to the sound because I played all the guitars and synthesizers, therefore played things my way. The first instrumental was me really but it was something that could actually be rehearsed even with just the 3 of us, so that was the one that got the band treatment. 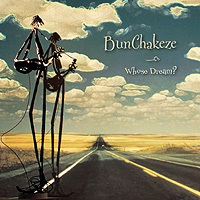 It evolved and became Bun Chakeze. Whose Dream? was my first real successful attempt to write the music around the lyrics. It became the obvious choice for the title track and a demo for record companies to listen to. The last part of that song is so fun to play, we just had to use it as a reprise. I do tend to go for playing an actual tune with the guitar, rather than solos. I think it's one of those strokes of luck you hope to get. I love that track! It's catchy in a very good way. MWE3: The CD sound of the album is quite fantastic, it almost sounds like it was recorded yesterday! How challenging and emotionally satisfying was it going back to the original tapes and was anything done in the CD remastering or remixing process to give the Whose Dream? album such a cutting edge modern kind of sound? CT: As I said, the long gaps between revisiting the music taught us what we needed to know to get the sound we wanted. What band ever gets that chance? When we remixed in 1992, we didn't use any effects offered to us to get a bigger drum sound using triggered samples etc. We knew where we wanted everything in the mix and the tapes sounded pretty good. Studios can often follow trends, use the equipment of the day and aim at creating a sound quality a bit like other music that is around at that time. We had music totally out of touch with the time, an engineer who had never worked with anything like our music before and he allowed us to aim for the sound we wanted. He helped us and never tried to change us. That was why it sounds like it does. We rehearsed as a 3 piece and wanted that sound to exist in the final mix, even though we are effectively a 6 piece. We are really pleased with how the CD sounds today. MWE3: How would you compare the sound of your first band Odin and the BunChakeze sound? How about the one and only Odin album, can you say something about making the Odin recording and its eventual release on CD? CT: We have actually mastered the Odin album already and it has a softer sound because it was never mastered onto digital tape. It still sounds good though. In Odin, we were not progressive rock, more melodic rock. We had two guitarists and John Culley (ex Black Widow and Cressida) was the other guy. John is more blues and that was a good combination. Cliff and I always sneaked a bit of prog into everything but never overdid it. A lot of twin lead runs through much of the Odin material but few actual lead breaks. You could say that both Odin and BunChakeze always used the guitars and keyboards together as a musical piece rather than as solo instruments. It will be released digitally this month and I hope to follow that with a CD too. John Culley has recorded a solo piece this year for inclusion on the album and it is wonderful! MWE3: I also noticed that in addition to you, Cliff, Gary and Joey the band had a fifth member on the Whose Dream? album, Alex Foulcer, how did Alex impact the studio sound? CT: Alex is the guy who was building the studio. He was crucial to us ever getting this album made. He liked the music and is a very good keyboard player. I love the combination of acoustic and electric. It's hard to beat. He was very happy to play on the album and we needed a piano! He also was the main engineer during the recording. MWE3: You mentioned BunChakeze was influenced by classic U.K. rock bands like Gentle Giant and Van der Graf Generator. What was it about that classic progressive rock era and the music that inspired you so much in the early days? CT: We all grew up in the 60s and 70s so that was the most incredible time too take in influences. The main ones for me would be The Beatles, Pink Floyd and the whole Genesis/Yes sound. Throw in Focus, Alice Cooper, Uriah Heep and one hundred others and you have anything goes! It was all on the radio and everyone got to know all those bands. I'll bet that anyone who grew up then, can recognize at least one song from any prog band of that era. If Deep Purple In Rock, Split (Groundhogs), Tarkus or Court Of The Crimson King had been released in the 80s or 90s, they would have never been allowed on the radio. From that time you could almost date available influences. Music became a fashion and there was nothing for me at all. 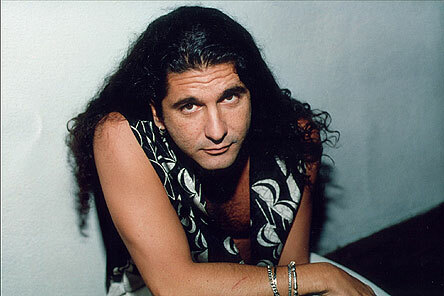 I started to listen to jazz rock, Vai, Satriani and Zappa. Listening to these guys stopped me from playing guitar because they are so good it's frightening. I forgot that most people can't listen to that kind of music and would actually prefer BunChakeze. I now know this! MWE3.com: How do the other members of BunChakeze feel about finally having the album come out in 2010 and do you still keep in touch with the other members of the band who recorded the album? CT: I started the ball rolling and have slowly experienced each stage of the process and have been amazed. The other three have been maybe a little stunned because for them it happened very suddenly. Everyone is over the moon with it. We have been very much in touch for the whole time. Nobody has seen me with a guitar though! Gary and I have been skiing many times in Tahoe and Montana. Cliff has been skiing with us too. We have all visited Joey in L.A. but I have spent many great holidays there with Joey and his family. Apart form going to concerts together, we have had no musical contact really and that is very odd. We are all very close friends. MWE3: How about the guitars you featured on the BunChakeze CD? Are you still actively playing guitar and what do you think about the current state of rock music and progressive music in 2010? CT: My Ibanez artist twin-neck, I bought in 1979 in Sydney. It was the first "real" Ibanez as I remember. I think they made copies until then. I used it in Odin and as you know, it's all over the Whose Dream? album. 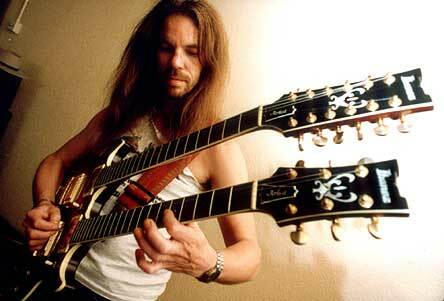 I always loved the 12 string sound. Genesis again! 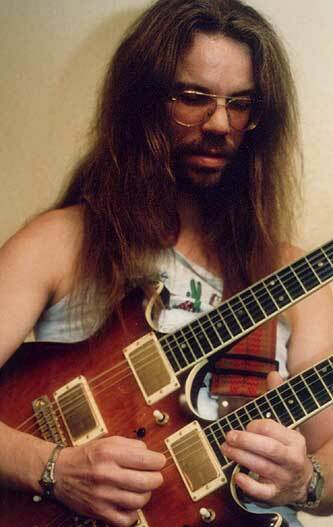 I used a Gibson SG and that was my main guitar at the time of Odin and BunChakeze but I never liked it. Now I think I wish I still had it! I found a Strat laying around in the studio and it got used a lot. Midnight Skies came from the sound I got from that guitar. In 1990 I bought a Heart electric from a friend who was always buying and then getting bored with every guitar he could get his hands on. I used it in 1992 on Whose Dream? reprise and it will be the guitar I use most of the time. It's a rare guitar hand made by a guy in the UK. The current state of prog is wonderful. I think that Dream Theater have almost single handedly driven rock and prog to where it is today. Not because they are such virtuosos but because they have promoted and helped almost every prog band out there. I don't remember bands doing that for one another in the old days. I can listen to Porcupine Tree, The Flower Kings and Pain Of Salvation for hours. We have Arjen Lucassen, Neal Morse and Steven Wilson. Times are good indeed! I am playing guitar again but all my time is used up getting this album out there so that we can follow it up with live performances at last. MWE3: In the liner notes you mention a few of the people or early BunChakeze allies, including Pasi Koivu, Sylvie Durette, Suzie Francis and of course the graphic artist Andrew Skeoch. Can you say something about how these people affected the longevity of the BunChakeze legacy? Is there anyone else who can take some credit in keeping the band's name moving in the right direction, then and now? CT: Andrew auditioned me to join his band in Sydney in 1977. I got the job! He instantly became a close friend and we traveled across Asia together in 1980, so he goes way back. He records mixes and masters nature sounds now and it is very high quality. He became the guy who fixed up the sound on early Genesis bootlegs to make them sound the way they do today. He was perfect for mastering our album. He was visiting me in Sweden in the spring, told me I should do something with the album. Pasi Koivu, I found on the internet because he looks after the archives for Black Widow. I was looking for John Culley, who I'd lost touch with 25 years ago. I contacted Pasi to see if he knew where John was. He did but he had no idea there was any music of John's in existence after Black Widow folded. He insisted on hearing some. He told me I should do something with the Odin and BunChakeze recordings. By now I was convinced it was worth a try. He showed me how to use Facebook and MySpace etc and did everything he could think of to help me. One of those things was introducing me to Sylvie Durrette who is rather closely connected to Black Widow and is a lyricist. Sylvie took us under her wing and gave me advice, contacts and told everyone about us. It was amazing. Pasi and Sylvie were absolutely crucial in getting us off the ground. Suzie Francis is a friend in Sweden and good with PCs. she and her family seemed to drop everything in order to help spread the word and give me advice when I needed it with technical issues. I can't imagine how many hours Suzie put in for us. Sonia Mota in Mozambique, we met on Facebook and she also worked at all hours of the night to help us spread the word. So we don't have the help of a record company or anyone in the music business at all. These 5 people have been those things for us. Astonishing! Andrew, mastered the album, designed the artwork for the CD and prepared it for the manufacturer. The CD cover was already done in 1992 but it needed updating. MWE3: What are your plans for the future? I know you mentioned a reissue of the Odin CD. Finally, what would you like people to come away with after listening to the BunChakeze CD? CT: It's not easy living in 3 different countries, so we need the sales in order to make it viable to reform, add the missing members and play this stuff for real. We really do want this to happen. I know how good that this music and new material could sound if we performed it as a real 6 piece. Now we've come this far, it would be a terrible shame not to do it. I feel that the CD is very easy to get into. Every track has been chosen as a favorite by somebody. It is progressive but catchy. Most agree that it gets better the more you hear it and that pleases me no end. I believe that people who like it will want the Odin album too. I like them both. They haven't dated.